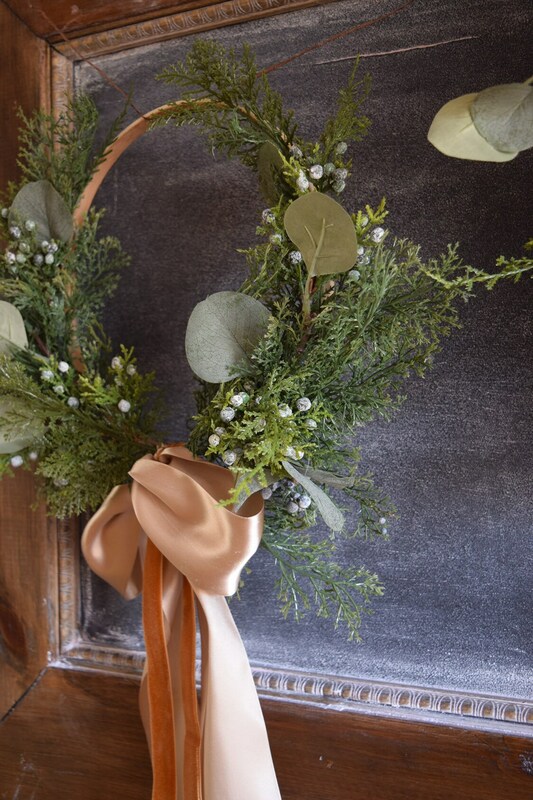 This set of 3 hoop wreaths will add elegance and style to your space all year long! 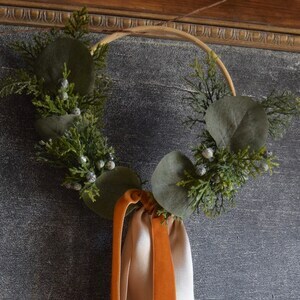 Comes with 1 Large Hoop (approximately 18” from tip to tip of greenery), 1 Medium Hoop (approximately 14” from tip to tip of greenery), and 1 Small Hoop ( approximately 9” from tip to tip of greenery). 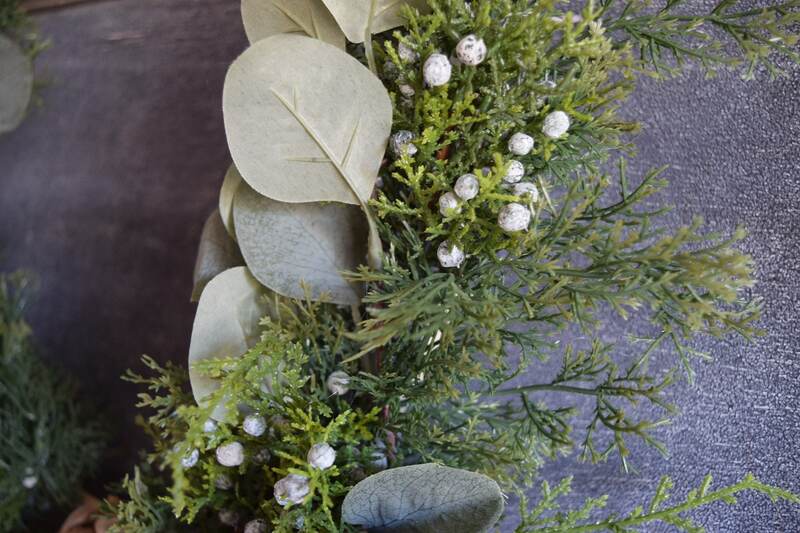 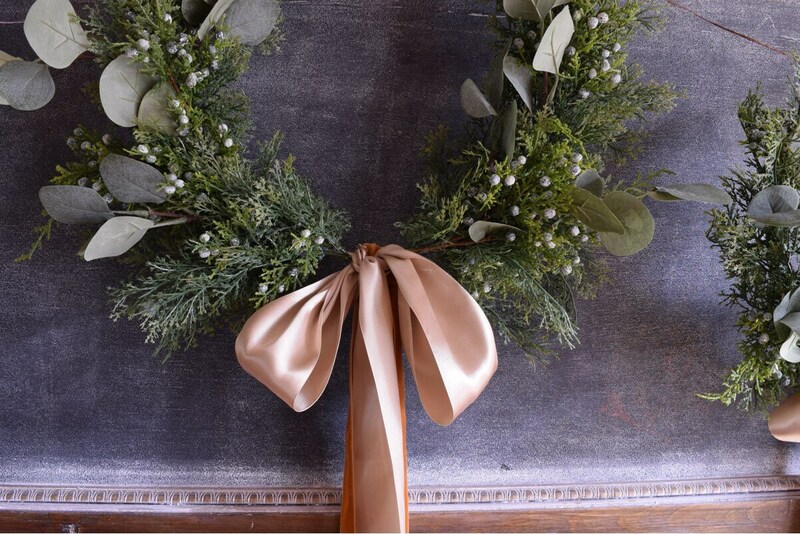 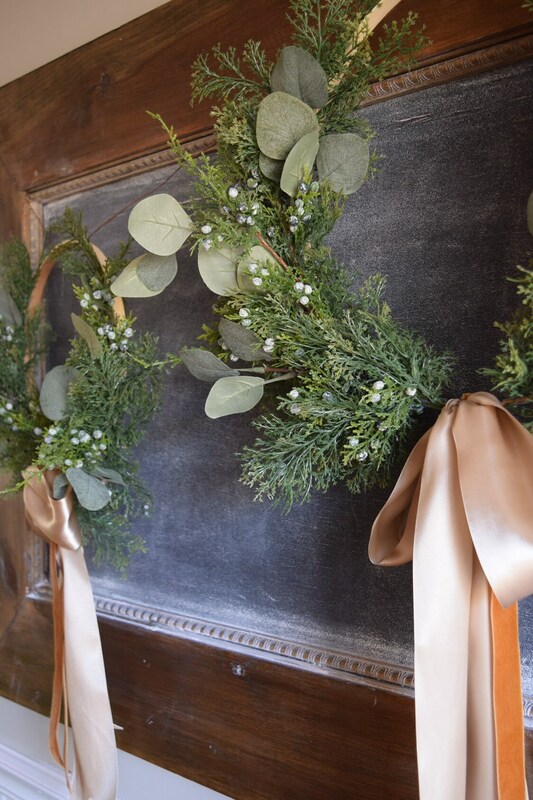 Each hoop wreath is adorned with faux cedar, juniper and silver dollar eucalyptus. 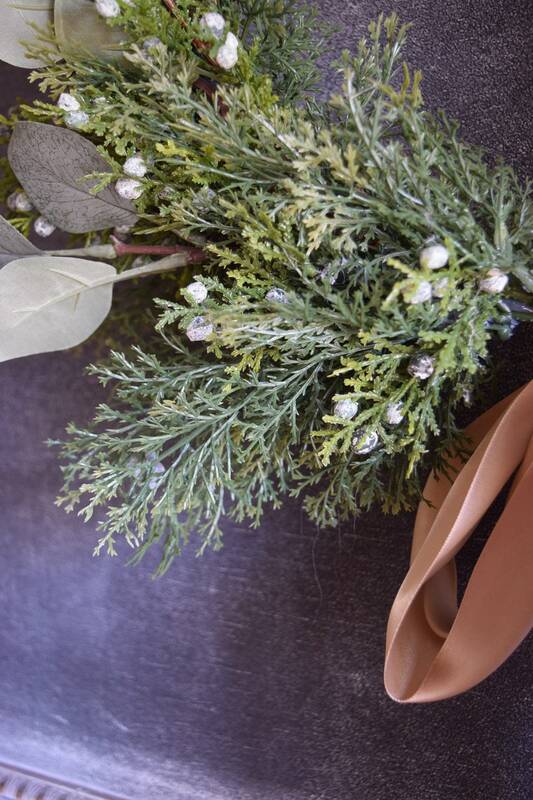 All artificial yet very realistic looking! 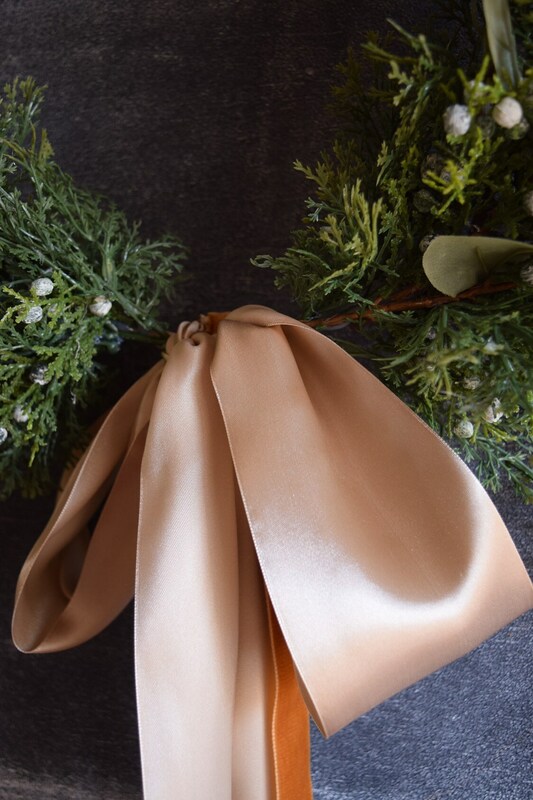 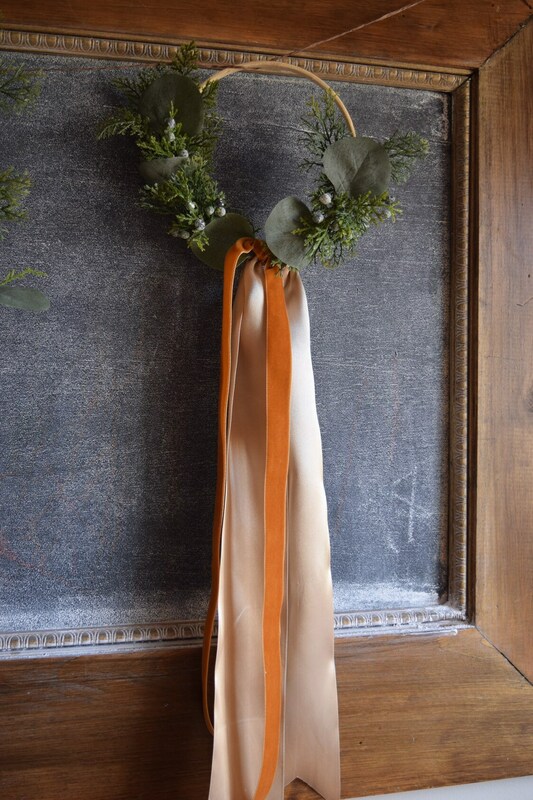 Each hoop comes with a dramatic silk champagne and velvet copper bow. 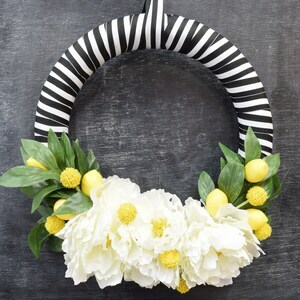 My wreaths are made with the most realistic looking and quality faux fruit and florals from the best sources in the industry. 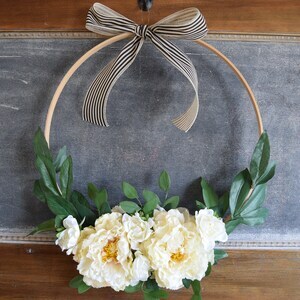 Because the materials are made to look real, no 2 fruits or florals are exactly the same, just as it would be in nature. 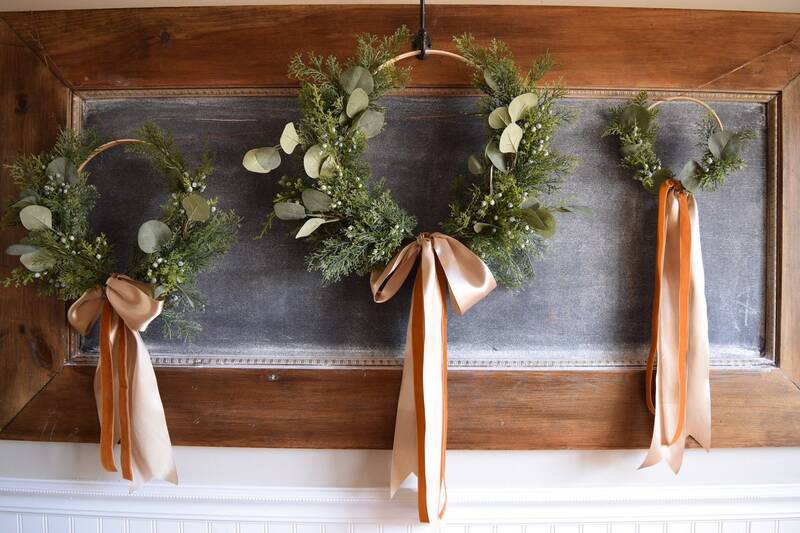 This means no two wreaths are exactly the same, so please expect some variation with each wreath. 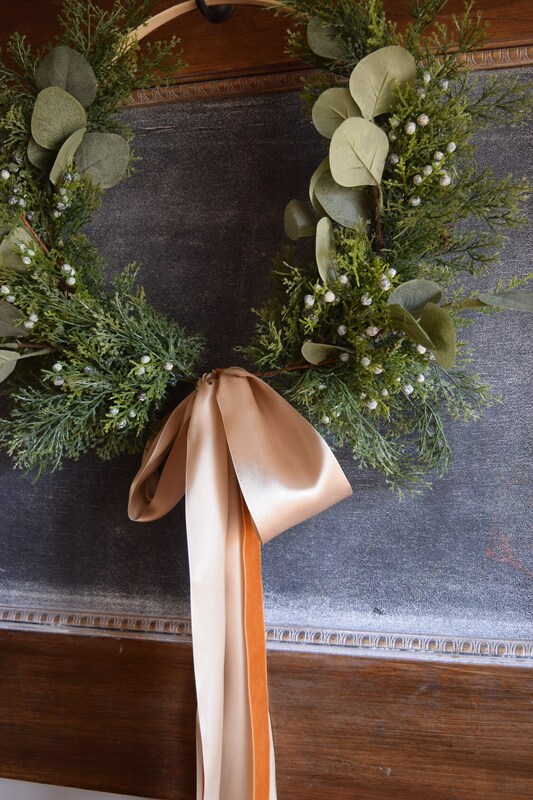 I take incredible pride in my work and only send out wreaths that I am 100% confident in. 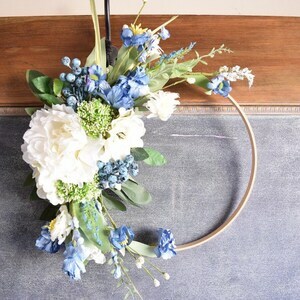 Please feel free to contact me if you have any questions.